Just when you think they've thought of everything, Maybelline have brought out a new mascara with two wands. One for the top lashes and one for the bottom. Double your pleasure. Ooh-er. 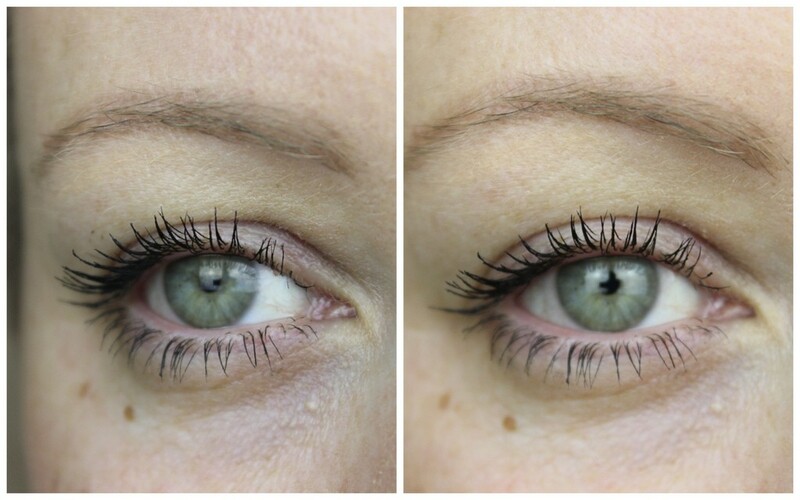 The massively named Maybelline Volum' Express Big Eyes Mascara is under the microscope today and I've been putting it through it's paces like the mascara fiend I am. 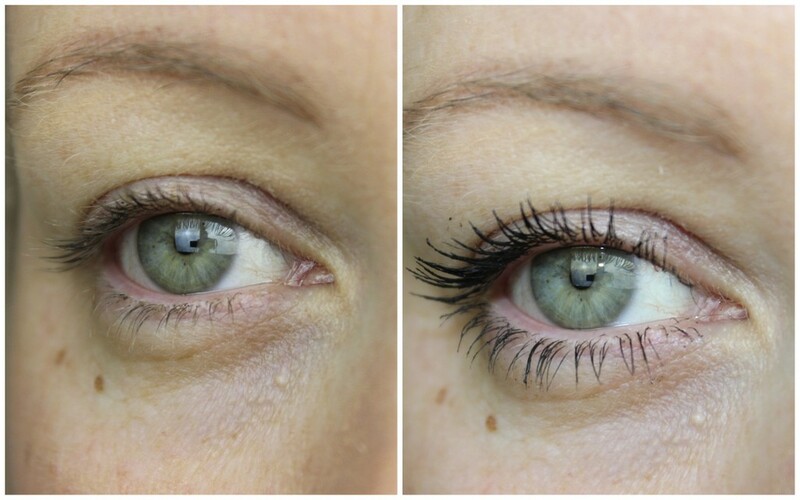 Many's the time I've made a mess when applying mascara to my lower lashes with a wand that was too big and last year I fell in love with Clinique's Bottom Lash mascara. But having the expense of buying another mascara just for those weeny lower lashes didn't warrant me repurchasing it. Not to mention it taking up more space. So when I saw this two in one mascara, I was very intrigued altogether. I like things that are multifunctional and if it saves space and money and works well, I'm in. The upper lash wand is one of those bristle-y twisty ones that combs and separates the lashes nicely. And the bottom lash wand is nice and thin, allowing you to get right into the roots of the lashes. Of the two, I prefer the lower lash offering as the combination of the brush and formula is perfect for giving me grand long lashes. While the upper lash brush works well at fanning my lashes out and gives curl and lift, the formula is slightly on the thinner side for my liking and so doesn't give a huge amount of volume and you know me and my lashes, I like 'em huge, even for work. Now because the formula is thin and dry, you can add a couple of coats to the top lashes to get more volume and clumping isn't a problem, for me, it's just the effort of life. Most of the mascaras I love only needs one coat to give thick, dark lashes when I'm running out the door, and I usually apply two coats when I'm heading out with darker eye makeup. I get soft, wispy, fluttery lashes when I use this but the name alone says that I'll have volume and will give me big eyes. I expected massive lashes, the likes of which would put Kim Kardashian to shame and instead it gives me natural, girlie lashes that pretty as they are, just fell short of my expectations. I don't find any smudging or flaking at the end of the work day and it came off easily with my eye makeup remover. Despite loving the bottom lash mascara, the product on just didn't wow me as much as I hoped it would and I think Maybelline have done better mascaras that have given me the wow factor. Now I know that you might look at the photos above and think "What's she talkin' about Willis, those are grand aul lashes" and I'm speaking to Eadaoin, one of the girls at work who claims she put three coats of mascara on the other day. I say claims because we both used the same mascara, I put one coat on, she put three and I still had darker, more voluminous lashes than she did. So I'm betting she'll think this is a "going out" mascara! I just wanted more, more I tell you! If you like the fluttery lashes look above, then you'll only have to part with €11.99, so definitely nice and affordable. What do you think? Am I too demanding in what I want from mascaras? 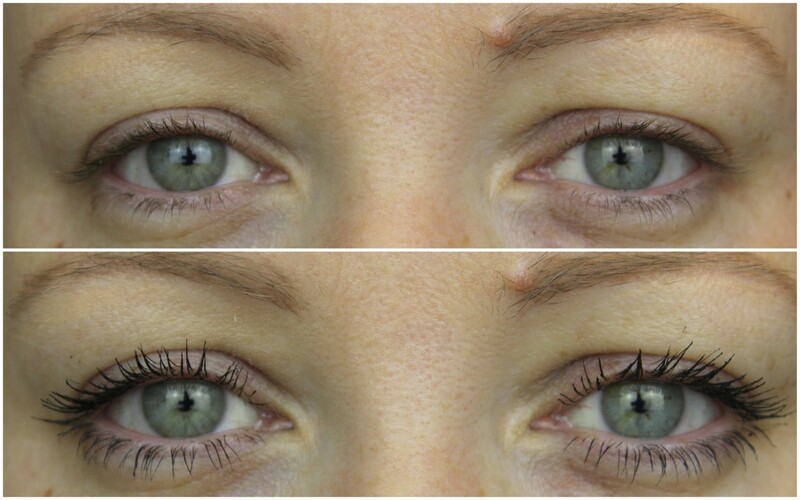 Would you be delighted with life if your lashes looked like this? To the comments toute suite! I picked this up two or three months ago & thought the exact same - It was grand, but there was no volume to my lashes at all! I figured it'd be handy, but I'd rather buy the Bottom ash mascara & a decent volumising mascara (or ten). Yeah, it's a grand mascara and all, I just neeeeed the voluuuuuuume! It odds look really pretty on your eyes but it's a shame it falls shy of its claims! I know, I'm quite hard on mascaras because they're my thing. I'm sure to the normal human person it'd be great, I just want more more more! I'm very picky with mascaras too so I understand! I think it looks really nice, but I'm not too bothered about volume so that's probably why! I think its so cool that they have a bottom lash brush - nifty idea! It looks lovely on you but I'm not exactly picky with mascara myself. The idea of two wants for top and bottom lash is nothing short of genius, I have to say. Wow, this is great news. This has nice information’s. That’s about all that, it's got going on. At first I noticed it made my lashes nice and curled, makes the lashes look amazing. I bought Mascara from beautifullady.us... it is a Health & Beauty Supply Store carrying professional beauty supplies Products with a variety and I really impressed your post.